With her starring role in Amazon’s hit show Homecoming and her incredible work in addiction drama Ben Is Back, Julia Roberts reminded us all why she she should be considered one of the best actors working today. Julia Roberts is the first actor I ever realized was really an actor. I can remember watching movies with my mom as a kid and having that “ah ha” moment that the actress I’m seeing on the screen is the same actress I’ve seen in other movies. She wasn’t just a character on the screen, she was a person, a celebrity, a movie star. I came of age in the ’90s, so I grew up on movies like The Pelican Brief, Notting Hill, Pretty Woman, and My Best Friend’s Wedding. These were movies that Julia Roberts didn’t just appear in, but starred in — and I mean really starred in. She shone with such brilliance, stealing every scene she was in with her unique blend of penetrating vulnerability, stunning beauty, and disarming normalcy. Like most actresses in Hollywood, especially those that came into their peak in the ’90s, Julia Roberts’ career gradually slowed down. While she’s fared better than many others, her movies are not the movie-going events they once were. However, in 2018, Julia Roberts reminded us that she’s one of the best actors working today, flexing her skills in a way that felt like an introduction to a brand new performer. 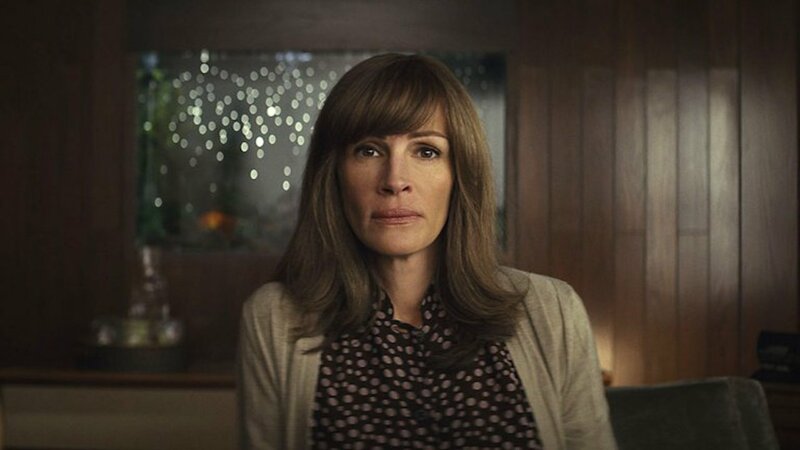 With her starring role in Sam Esmail’s Amazon show Homecoming and her truly revelatory work in Ben Is Back, Julia Roberts is no doubt one of the year’s best actors. Written and directed by Peter Hedges (Dan in Real Life), Ben is Back stars Julia Roberts as Holly Burns, the mother of a recovering drug addict whose surprise visit home for Christmas leads to crisis. After Ben, played by Lucas Hedges, shows up at the family house for a surprise visit on Christmas Eve, Holly reckons with what is best for her family with what her son needs. The movie is a heartfelt and moving portrayal of a mother’s love, a family torn apart by addiction, and the courage it takes to protect your family. Julia Roberts’ performance is one of profound vulnerability, taking a written character and making her feel painfully, devastatingly real. Part of what makes Julia Roberts such a unique and successful actress is the large toolbox she carries with her; not literal, of course, but a metaphoric toolbox of emotions that allows Roberts the range to play a character with joy and heartbreak, warmth and fear that is highly affecting. Roberts puts that toolbox to good use in Ben Is Back, delivering a performance that rivals her best. From the minute she appears on screen, she exudes a warmth that defines her acting style. However, as the movie plays out, that warmth and love is tested against increasingly difficult challenges as she struggles to protect Ben from himself. Ben Is Back is one of two mainstream movies this year taking on addiction. The other, Beautiful Boy starring Timothee Chalamet, is focused on the longevity of addiction, tracking one boy’s journey through years of addiction. Ben Is Back succeeds as more of a vignette of one family’s struggle with addiction by focusing on a single night in their lives. This means that the performers are responsible for making their world and their problems real for the audience. Roberts makes this look easy; her performance lets us into her world, full of frustration, happiness, and her persistent hope that Ben will get better. Without Julia Roberts, Ben Is Back wouldn’t be half the movie it is. She is the anchor that keeps the film grounded and she is the wind that allows the story to soar. What began as a podcast became one of Amazon’s best rated TV shows. Ten episodes all directed by Sam Esmail (Mr. Robot), Homecoming is a psychological thriller about a facility that helps soldiers returning from war readjust to civilian life. Julia Roberts plays Heidi Bergman, a caseworker at the Homecoming facility. Homecoming is split into two timelines, both equally intriguing. One timeline set in 2018 follows the events at the Homecoming facility as Heidi runs the test program that becomes increasingly complicated and unethical. The second timeline is set years in the future where Heidi, now working as a waitress and living with her mother, finds herself the target of an investigation by the Department of Defense into what really happened at Homecoming. This is Julia Roberts as we have never seen her before and yet it’s a role that perfectly uses the audiences’ familiarity with her against them. Roberts’ warmth, easily observed through her famous smile, works to unsettle us in Homecoming. As the face of the Homecoming program, Roberts’ character becomes increasingly more untrustworthy as the series progresses. Yet just when you think you’ve figured her out, the ground in the show shifts again and you’re left with an entirely new perspective. It’s a rare treat to be surprised by an actress like we are with Julia Roberts in Homecoming. Like the mystery at the heart of the show, her character slowly unfurls over the course of the 10 half-hour episodes slowly revealing a more complicated dynamic than anyone could have guessed. Roberts is the perfect choice to play Heidi and she executes her performance brilliantly. Dare anyone say that Julia Roberts doesn’t possess the skill to play a character like this; she proves anyone doubting her skill or relevance wrong. With two slam dunk roles under her belt, here’s to hoping that 2018 is just the start of a new and exciting phase in Julia Roberts’ career.